1 of 1 Heat oven to 375 degrees . 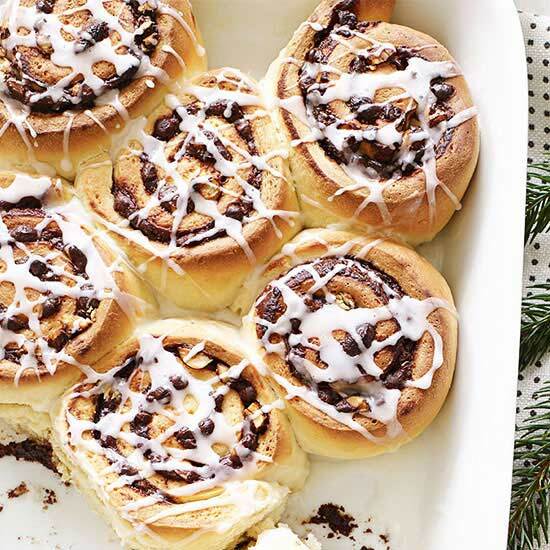 Line a large baking sheet with nonstick foil. Prepare Filling: In a medium-size bowl, toss together the plums, blueberries, granulated sugar and cornstarch. Set aside. 1 of 4 In a large bowl, combine piecrust mix, granulated sugar, ginger and 1/3 cup water. Stir until mixture begins to come together, then roll out to a 13-inch circle on a lightly floured surface. Carefully roll up onto rolling pin and transfer to prepared baking sheet. 2 of 4 Spoon filling onto center of crust, leaving a 3-inch border all around. Fold edge of crust partway over plum mixture. Brush with beaten egg. 3 of 4 Bake galette at 375 degrees for 35 minutes, until crust is browned and center bubbly (some juices may leak out of the crust). 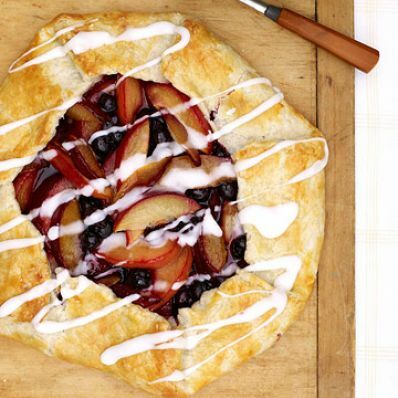 Run a thin spatula under galette, then carefully transfer to a serving platter, using 2 spatulas to balance. 4 of 4 In a small bowl, mix together the confectioners sugar and 1 tablespoon water. Drizzle over galette and serve.